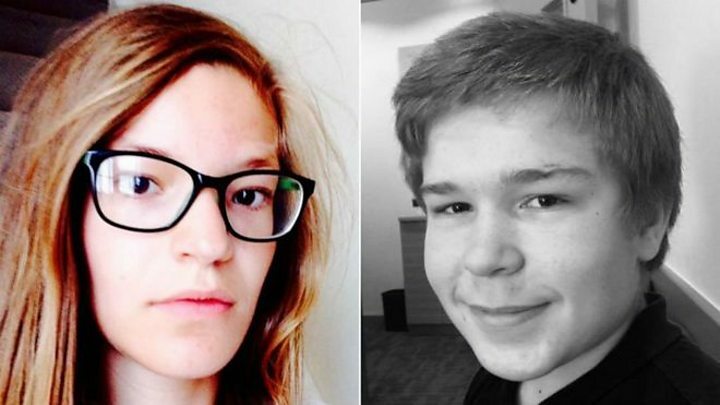 The couple believed to be Britain's youngest double murderers have been named, after a judge lifted a ban on identifying them. 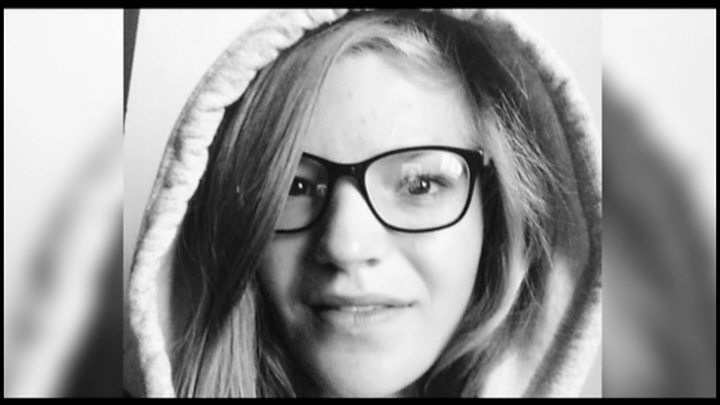 Kim Edwards and her boyfriend Lucas Markham murdered Edwards' mother Elizabeth, 49, and her younger sister Katie, 13, at their home in Spalding, Lincolnshire, in April 2016. The killers, who were 14 at the time, were both jailed in November. A bid to stop their names being made public was rejected in the High Court. Why did Kim Edwards kill her mother and sister? Edwards and Markham were originally jailed for at least 20 years each, but judges have reduced the sentences to 17 and a half years. Markham, who admitted the killings, used a kitchen knife to stab both victims in the neck a total of ten times as they slept. Edwards, who helped to plan the "cold, calculated and callous" killings, denied murder, claiming to be suffering a mental abnormality which impaired her ability to form rational judgments, but was found guilty by a jury. The teenagers were both jailed for life at Nottingham Crown Court in November and told they must serve at least 20 years before being considered for parole. The court heard Markham walked for around 30 minutes along Spalding's Coronation Channel to reach Edwards' home before knocking three times on a bedroom window as a pre-arranged signal that he had arrived. They were discovered and arrested at the home Edwards shared with her mother and sister 36 hours later, having been reported missing to police. Kim Edwards and Lucas Markham planned a double murder born out of an intense relationship. Lucas wounded Mrs Edwards terribly before smothering her with a pillow. It wasn't quick - she struggled and fought for her life while Kim watched on. Despite Kim's reservations about killing her sister, they weren't strong enough to stop Markham. The details of the murders are some of the most harrowing I have heard in 17 years of court reporting. The ban on naming the two teenagers was lifted by Mr Justice Haddon-Cave on 8 December but their identities remained secret until now to allow their lawyers to appeal against the ruling. Outlining his reasons for lifting the ban, the judge said: "It is impossible for the public properly to understand this case without knowing the identity of the defendants and that these murders took place in a closed family context. "This singular fact informs and colours one's entire understanding of the case... unless one knows this singular fact, it is impossible to understand the true motive behind these murders." Upholding the trial judge's view, the ban on naming the pair was lifted by Sir Brian Leveson, Mr Justice Blake and Mr Justice Lewis. Sir Brian said: "In the circumstances of this case, notwithstanding that the appellants are only 15 years of age, we have no doubt that the lifting of reporting restrictions is in accordance with law, pursues a legitimate aim and is a reasonable and proportionate measure ... properly balancing the welfare of the appellants ... against the Article 10 rights of the press and the interests of the public." Det Supt Martin Holvey, of Lincolnshire Police, said the "horrific and brutal" murders had shocked the community and the naming of the teenage killers would only add to that. "I'm sure that sense of disbelief and horror will be deepened now it is known that it was Elizabeth's own daughter who was responsible for plotting with her boyfriend to carry out the murders," he said. He said the extra details now made public, including how the couple stayed in the house after the killings and the lack of remorse showed by Edwards and Markham, were "chilling". "These new revelations will undoubtedly focus attention on Spalding once again. I would like to repeat sentiments I have made earlier, thanking the community for their cooperation throughout the case and paying tribute to the courage of Elizabeth and Katie's family," he said. "They have endured a terrible ordeal and faced the additional anguish of knowing that this horrific crime was committed by a family member."